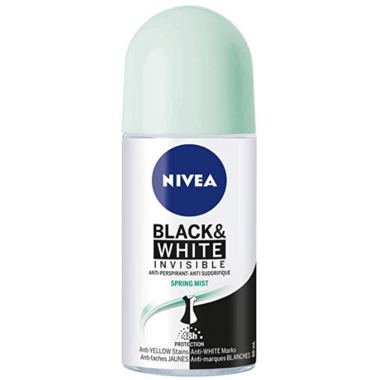 NIVEA Black & White Invisible Spring Mist anti-perspirant deodorant provides effective anti-perspirant protection while preventing white marks and yellow stains on your clothes. Black clothes stay black and white clothes stay white for longer. The unique formula also protects you for 48 hours against sweat and body odour with a fresh fragrance. Cautions: Discontinue if rash or irritation occurs. Do not apply on irritated or damaged skin. Great smell and works good too !